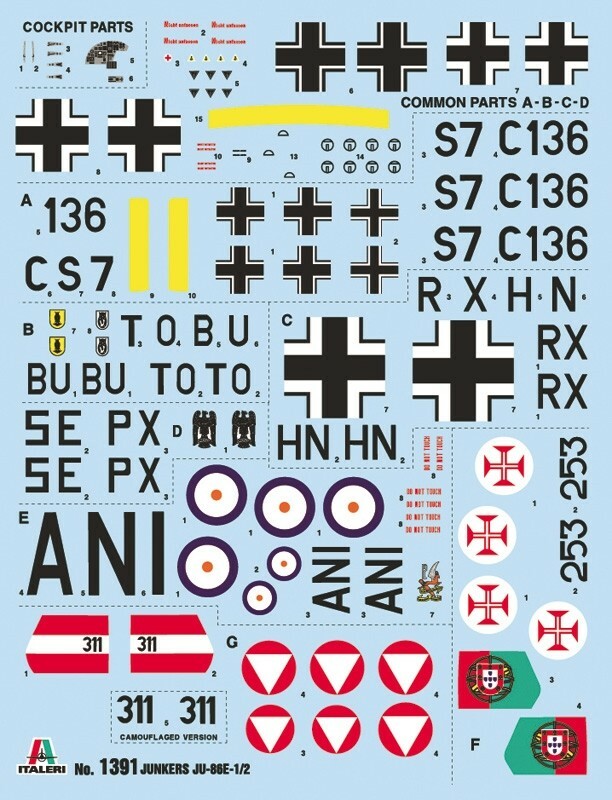 Junkers Ju-86E-1/E-2 COLORS INSTRUCTIONS SHEET - SUPER DECALS SHEET FOR 7 VERSIONS During the ‘30s, the German aviation industry developed passenger or postal transport airplanes that could be easily declined and converted into military versions. Officially set up to be a civilian airplane to perform commercial duties, the Junkers Ju 86 was a monoplane twin-engine aircraft that, in the bomber version, equipped the squadrons of the nascent Luftwaffe. The Junkers Ju-86 was used, similarly to the Heinkel He 111 and the Dornier Do-17, as a medium-range bomber during the Spanish Civil War in 1936 under the Condor Legion insignia. 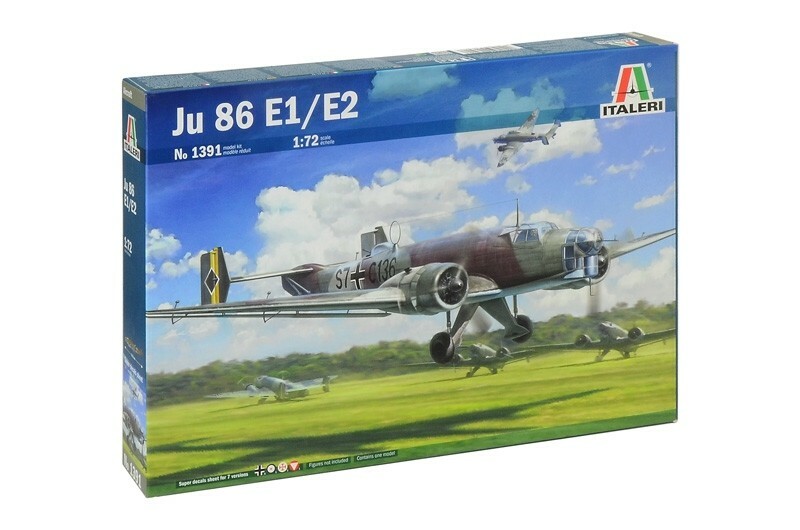 Thanks to its two Junkers Jumo 205 engines, the Ju-86 was able to reach the maximum speed of 300 km / h and to carry up to 1,000 kg of offensive load. The Junkers Ju-86 participated to the early stages of the Poland Campaign but it was soon replaced by more modern and effective aircrafts. In addition to the Luftwaffe, it was used by Swedish and Hungarian air forces.